For many of us looking after our garden is an important part of our weekly routine. It’s also considered to be therapeutic, beneficial for our mental health and a great form of stress relief. 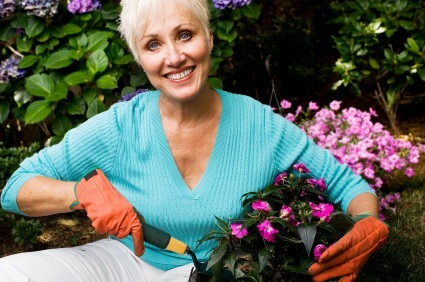 Gardening is beneficial to your overall health, as well as improving your strength and fitness levels. Invest in some effective gardening tools. Those that are sharp and light will make it easier for you to reduce the level of strain that your body endures. Helping you to achieve more before your body begins to tire. Whilst you’re gardening, make sure that you stretch before, during and after you have completed your gardening activities for the day. This will keep your muscles supple and relaxed, helping you to avoid a potential injury. Aim to ensure that you’re always working in the most comfortable position that’s possible, avoiding excess strain on one part of your body. Bypass lifting extremely heavy items, consider getting someone that you know that can cope with the load (i.e. a partner or friend) to lift the item for you. Alternatively, you can pay someone to move (i.e a handyman or tradie) it for you. If you are lifting items yourself, make sure that you get as close as possible to the object before lifting it, considering your posture at all times. You’re more likely to have an accident when you’re feeling tired or are in a hurry. Give yourself lots of time to do your gardening activities. Before taking part in your gardening endeavours, make sure that you plan what you’re going to do. Pace yourself, don’t try to do too much at the one time and listen to your body. Vary your tasks and activities so that you’re not using the same group of muscles all of the time i.e. vary your weeding, gardening and pruning over different times during the day. Make sure that you take regular rest days or breaks throughout the day, whilst you’re gardening. Don’t continue taking part in tasks until you have reached the point of pain. Lean backward if you have been bending over. After you have been working overhead, stretch you back. Prune branches closer to you, so that you don’t overextend your body. If you’re using a wheelbarrow or something to move different items around, check to see that they are the right height for you. Use a lightweight leaf rake, it’s much more comfortable and less strenuous for your body. If you experience any injuries whilst gardening and need to see a Physiotherapist, don’t hesitate to contact any one of our locations. You can find a location close to you by pressing here.